Opposition parties were quick to blame the government for Urjit Patel's resignation, with the Congress declaring it as the "result of our chowkidar's assault on democratic institutions". RBI Governor Urjit Patel cited "personal reasons" for his decision to resign. 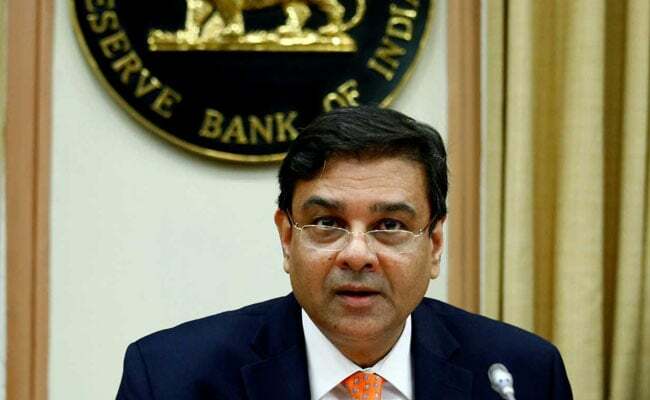 New Delhi: Reserve Bank of India (RBI) Governor Urjit Patel stepped down from his position today, months after a conflict between the central bank and the Narendra Modi government stormed into the open. The opposition parties were quick to blame the government for his decision, with the Congress declaring it as the "result of our chowkidar's assault on democratic institutions". Although Mr Patel cited "personal reasons" for stepping down, the last few months have provided enough reasons to make one believe that there may be more to the story. Here are 10 things you should know about the RBI-Centre conflict. The disagreement first came to light when a top RBI official -- Viral Acharya -- claimed in a speech on October 26 that the government's efforts to undermine the central bank's independence would be "potentially catastrophic" for the country. The official clarified that he was not speaking in his personal capacity. The cause of the conflict is supposed to be Section 7 of the Reserve Bank of India Act, which empowers the government to issue directions to the central bank as a "last resort". According to former RBI Governor D Subbarao, the provision had never been used before. The government reportedly wanted to use the provision to control lending rates and also get its hands on reserve cash kept in RBI coffers. The central bank maintains that such a step would throw the country's economy into disarray should a financial emergency arise. The RBI holds Rs 28,724 billion in reserves, including foreign currency assets, gold and sovereign debt receipts, and some of the profit earned through interest on its bonds is given to the government. But the government wants more for spending on welfare programes ahead of the Lok Sabha election. Mr Acharya said in his speech that undermining the central bank's independence would prove catastrophic, "sooner or later incurring the wrath of financial markets and igniting economic fire". He cited the example of Argentina, which witnessed a market revolt and surge in bond yields in 2010 due to a similar issue. Differences also cropped up between the RBI and the centre on other issues such as the central bank's handling of weak public sector banks and ways to resolve bad loans in the power sector. The government had reportedly asked the central bank to ease lending restrictions on around 11 state-run banks with a low capital base. The centre also proposed changing the rules to enable closer supervision of the RBI, a move that many believed would undermine investor confidence in the country's economy. Negotiations between the government and the central bank followed, and an uneasy peace was established. After a nine-hour board meeting on November 19, the RBI agreed to study a demand for sharing a part of its reserves with the government. But opposition parties and a few NDA allies such as the Shiv Sena continued weighing in on the issue, repeatedly exhorting the RBI to not succumb under government pressure. "Hope Urjit Patel has a spine and will show PM his place," said Congress president Rahul Gandhi before the board meet last month. Former RBI Raghuram Rajan also made a case for Reserve Bank autonomy, saying that the central bank is as important as a seat belt is to a car. Even after Mr Patel's resignation today, he said this development should be a "cause of concern" for all Indians.